Neosurf is a popular prepaid card payment method available all around the world and supported at many online casino websites. Our guide covers how to use Neosurf to deposit money safely into your Internet casino accounts to bet on and play your favourite real money games. Neosurf is a European-based prepaid card service Internet users can use as a payment option at several websites, including at online casinos. You can load cash funds into the card and use it to make safe deposits into your online casino site account, when supported. Neosurf is available to purchase via credit or debit card, or with cash at physical retail locations, in denominations of €10, €15, €20, €30, €50, or €100 Euros. It has a 10-character pin code which you use to to pay for things online (in our case, it would be for real money deposits for betting). Why use Neosurf to deposit at online casino websites? 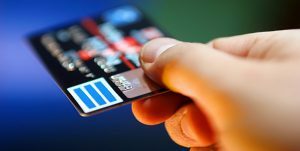 The reason Neosurf is fairly popular in certain European countries as an Internet betting payment option is because, like all pre-paid cards, it acts as another layer of financial security. Using Neosurf, personal bank account information or credit/debit card details are not directly linked to whatever online casino you gamble at – all they have is your Neosurf prepaid details. While 128-bit SSL digital encryption security is a standard which keeps players safe at all licensed online casino websites, alternative payment options like Neosurf are great for players who just want an extra bit of privacy or peace-of-mind when betting online or on their mobile devices. This prepaid card also allows instant online payments to be processed, with money transferred without delay. Another advantage of using Neosurf is the funds on the card expire in 6 months, which is plenty of time to hold onto it and use it for real money betting at a later date. You can check your current balance on the card via the official site as well, by entering your card’s code. Which countries is NeoSurf available? You can find exact locations selling the card using the official Neosurf website’s helpful location tool. Once you have bought the pre-paid card and have loaded your desired amount of cash funds into it, visit the banking (also called cashier) section of your chosen online casino website to get started on depositing money with Neosurf. From here, select Neosurf from the list of deposit options, type in the 10-digit code printed on the back, and click ‘process’ or ‘validate’. Your online casino should immediately inform you that the transaction was processed and your casino account is credited appropriately with your funds. From here, you can begin playing your favourite online slots, blackjack, poker, roulette, baccarat and more for real money. Take note the currency accepted with Neosurf is EUR, so some currency conversion fees may apply if you are buying the prepaid card and loading it with money in a non-EU country. One particular disadvantage to also take note with Neosurf due to its nature as a prepaid card, is it is not accepted as a withdrawal option at online casinos. Thus, if you want to withdraw your winnings from your casino account, you will eventually have to link another method of payment (bank, card, or e-Wallet) to get your winnings. Which online casinos support Neosurf as a deposit option? Currently, a large number of top-rated online casino websites we particularly recommend support Neosurf as a EUR deposit option. Click on any of the links below to sign up, or read our official in-depth reviews of the casino site and its real money games offerings, customer service, bonuses and promotions, and other deposit and withdrawal options supported. Are Neosurf online casino payments safe? All financial transactions processed with Neosurf prepaid cards at online casinos are digitally encrypted with 128-bit Secure Socket Layer security technology, the same standards set and used by financial institutions such as banks and used across all online casinos. This ensures all players can feel safe using Neosurf as you would any other recommended payment method on the Internet, such as MasterCard, Visa, Neteller or Skrill. As mentioned earlier, the extra layer of security provided by Neosurf acting as a ‘middle-man’ between your personal banking or card accounts and your casino account is something that cannot be overlooked, either. Find the best online casino sites accepting players from your country in the casino table at the top of this page, which has been geo-targeted to recognise your location. If Neosurf is not in your country, there are several other alternative payment methods like Paysafecard, Neteller, and Skrill you can use safely.